When you are young and you buy your first car, you buy generally an old car. The advantage is that it costs less expensive, but it also has less power and/or less features. Today, modern cars offer often the Bluetooth technology and an USB port to be able to connect your smartphone to your car and recharge it easily. But old cars don't offer these options. - use a jack cable with 2 male jack outlets to play the music of your smartphone in speakers of the car with the auxiliary option of the autoradio. 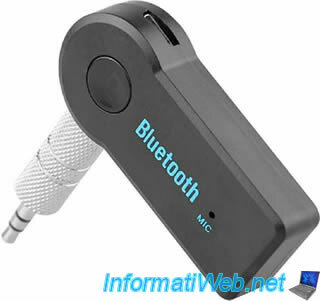 - use a Bluetooth receiver with a male jack outlet. 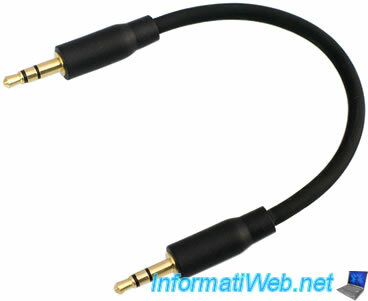 If you use the jack cable, it will work correctly, but the cable eventually make false contacts. It's for this reason that we will introduce you to the "Récepteur Sans Fil Bluetooth A2DP Audio Adaptateur Sans-Fil Mini-jack 3,5 mm" (KBT001081) that you can buy on priceminister. This Bluetooth receiver has the advantage of don't use a cable. So, it's solve the problem of cable wear. Important : get € 7 discount on Priceminister by registering by this link. - press the button of the device during some seconds until the blue LED lights. Then, the red LED and the blue LED will flash alternately. 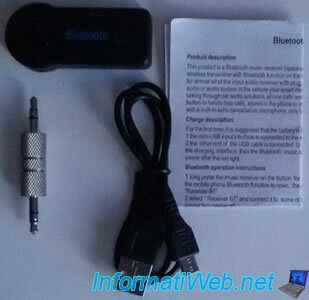 - enable Bluetooth on your smartphone and pair it with the BT Receiver device. If your smartphone asks for a code, enter 0000. Once paired, the blue LED remains on and the red LED will turn off. - connect the double jack outlet in the Bluetooth receiver on one side and in the auxiliary jack outlet of your autoradio (for example) on the other side. - start the music on your smartphone and it will be played automatically in speakers of your car (for example). To turn it off, just press a few seconds on the button of the device until the red led will turn on. 2 seconds later, the led will turn off automatically and the device too. - don't forget to recharge the Bluetooth receiver . - plug it on an USB charger (outlet or lighter cigar). Warning : if you buy an USB charger (sector or lighter cigar), check that the amperage provided is 0,5A. it is the normal amperage of an USB Port. Otherwise, you risk to damage components of the Bluetooth. receiver. 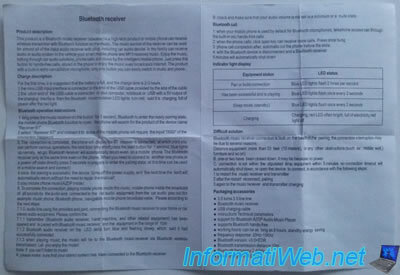 Note that this warning is also valid for USB ports of powerbanks.